There are two parts to our business: The issues-driven and reputation-focused work that is largely directed by external factors, and the marketing-driven work that can have a much longer lead time. Summer hasn’t even officially started, but we’re already well under way in planning marketing-related for activities to support the year-end holidays, and even preliminary 2018 planning. One of the big questions in our business is: How do you come up with ideas? I recently came across two articles that addressed the ideation issue, coming at it from two different perspectives. The first article suggests that busy people need a “Shultz Hour.” Of course, that needs a bit of explanation. George Shultz, who was secretary of state in the ‘80s, carved out an hour each week to sit in his office with the door closed, with a pad of paper and pen, and thought about the strategic aspects of his job. He instructed his assistant to interrupt him only if one of two people called: The president. And perhaps equally importantly, his wife. Shultz worked in an era before the interruptions and distractions of email, smartphones, Twitter and the like, but I’ve always been a firm believer in carving out some “alone time” to think about a creative problem or strategic issue, whether in my office, while exercising, or even if I’m just doing chores around the house. The second article suggests a less conceptual approach to generating ideas: Washing your hands. A group of psychologists conducted a study in which individuals were instructed to focus on a goal, and then to wash their hands. After the physical act of washing their hands, they were more easily reoriented toward a subsequent goal. The physical cleansing created a psychological separation from the previous activity, enabling the individuals to focus more clearly on a new goal. In many ways, we’re merchants of ideas. Whether great ideas come from dedicated reflection time – or from clean hands! – it’s less about the source and more about the results. 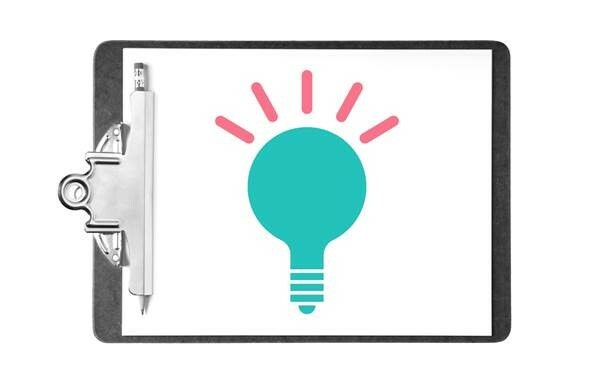 What tips do you have for generating ideas?